Build active student engagement in their learning within a differentiated curriculum to stimulate and challenge all students. To foster a safe and supportive environment and a culture that promotes respectful relationships, resilience, values diversity and it inclusive. Each leading teacher, with support from the rest of the Leadership Team, supports priority actions in one of these broader goals. For example, in 2018 it is envisioned that the Teaching and Learning Team will be focussing on improving Literacy achievement (in the area of reading growth from Foundation to Year 10), while also continuing the documentation through the Understanding by Design (UbD) framework of a viable and guaranteed curriculum. 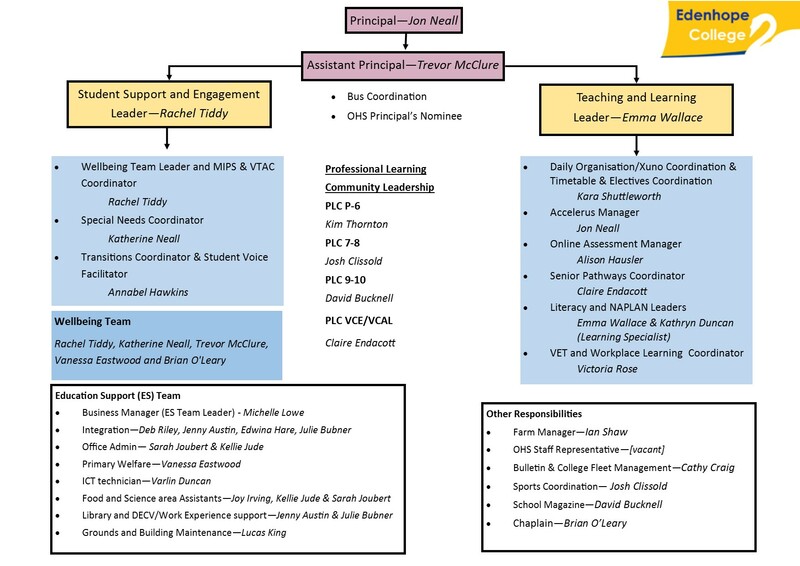 The Student Support and Engagement Team, on the other hand, will be focused on implementing a consistent whole-school approach to developing Individual Education Plans for students with special needs, while at the same time beginning the implementation of the School Wide Positive Behaviour framework.